Ahhh, the bedroom, a space for serenity, relaxation and sleep. Not the place for foul odors. 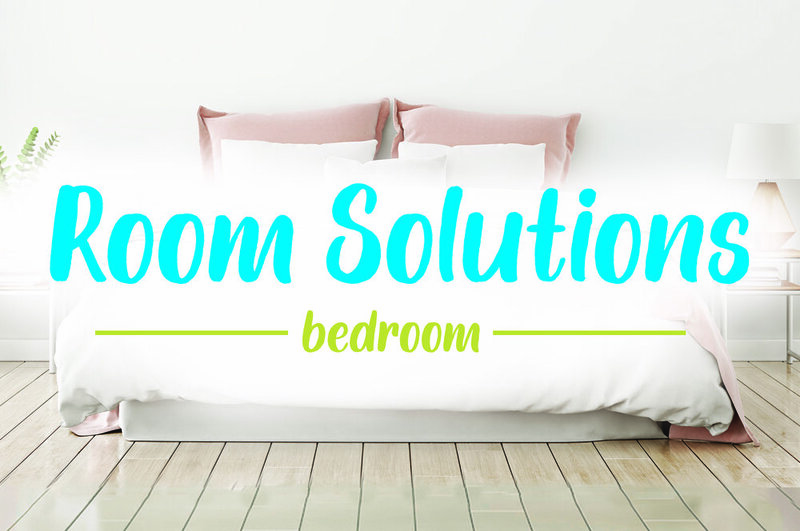 Ensure your room has the calming vibe that helps you de-stress and catch some zzz’s with these fragrant tips. After too many nights of tossing and turning, your mattress can start to smell a little stale. A few sprays of our Fabric Refresher is like a breath of fresh air that will have you resting easy again. You can also layer our fragrances to create your perfect Zen blend. Plug in one of our Scented oil refills to fill the air with your favorite fragrance. Then add a Scented Oil Air Freshener or Scent Gems to your bedside table for an extra boost of freshness as you drift off into your dreams and start your day with a smile. Hosting a big party or special event? Choose a signature fragrance, like the Bright Air ® Winter Pine & Berries ™ Super Odor Eliminator ™ for the holidays or Island Nectar & Pineapple™ for a summer soiree. The next time you use those fragrances, you’ll remember your enjoyable affair! Get rid of that stinky diaper smell by placing a Cool & Clean™ Mini Odor Eliminator™ in or next to the diaper pail. The mini is great for baby’s room – it eliminates those diaper odors without being too strong to upset your precious little one. Down the road when your child is growing too fast, that fresh, clean scent will have you thinking back fondly to when they were just a baby. Having a girls’ weekend to reconnect with old friends? Bring a Sweet Lavender & Violet ™ scented oil air freshener. When you use it again at home, the calming scent of lavender and the great memories of your girlfriends will bring a smile to your face. Turn an average night at home into a family vacation without leaving the house. Grab some Hawaiian leis and plug in the Hawaiian Blossoms and Papaya™ scented oil refill to transport yourself to the tropics. The time released fragrance will be a pleasant reminder of all your family fun. This week our Bright Air team is celebrating Wellness Week, with various daily activities to help enhance our mind, body, and spirit. It’s all part of our belief in Positive Living. When our team is feeling good, we’re inspired to create better products for you! We also want to share a little Wellness Week love with all of you, our loyal Bright Air customers! Did you know that you can intentionally create positive rituals using fragrance? That’s right – you can train your brain to have a specific reaction when you experience an aroma, and it’s easier than you think. All you have to do is reflect on a positive thought or affirmation; for example, “today I’m going to have a good day”, or “I feel energized”, then purposely smell a fragrance. Once trained, each time you smell this aroma, you’ll remember the affirmation and the positive intentions associated with it. Even better, you can use any aroma you choose. Whether you love bright florals, woody fragrances, or foodie flavors, the affirmation can be associated to your favorite fragrance. Visualization can also help enhance the experience and strengthen the results. You can use this technique to improve your own well-being, enhance sport performance, increase your energy, or whatever mind-set you are trying to create! Need some ideas? Think about feeling euphoric while smelling our Bright Air Hawaiian Blossoms & Papaya Scented Oil Air Freshener, or feeling energized while you smell a Zesty Lemon & Lime Super Odor Eliminator. Post in the comments below on what types of fragrance affirmation you’d like to create! Do you ever walk into a room, and the smell immediately takes you back to a past memory? A woman’s perfume could remind you of an old friend. A certain sunblock prompts memories of a family vacation. 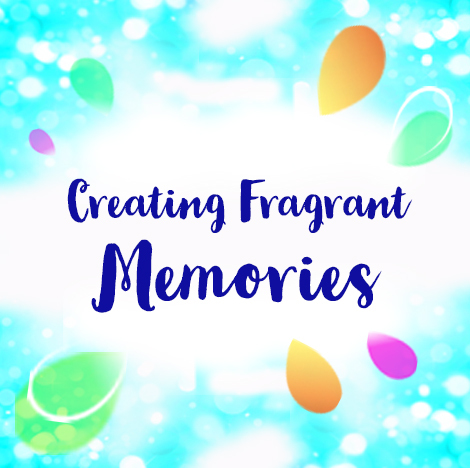 We know our senses play a big part in creating memories, but why does such a specific smell trigger such a precise memory? It all comes down to science. The olfactory bulb, which runs from the nose to the brain, is the part that makes it all happen. It’s part of the brain’s limbic system, an area often referred to as the “emotional brain” because it’s so closely associated with memory. Plus that bulb has direct connections to the amygdala, which processes emotions, and the hippocampus, which links two stimuli, or a behavior and stimulus, together. Combined, it’s the perfect formula. The smell hits that olfactory bulb, travels to the amygdala and hippocampus – creating the link between the scent and emotion, and then stores the memory in the limbic system. The next time you experience that fragrance, the memory is retrieved, and it’s like a flashback in time.